There has been considerable kvetching during this drought about California exporting agricultural products overseas, with some saying that this implies we are virtually exporting water that we should be using in California. Those concerned should take comfort with California’s major imports of virtual water. Much of the food consumed here comes from other states and countries, and their production, of course, requires water. Much of the corn fed to California’s dairy cattle is grown on Midwest farms with Midwest water. And much of our clothing is made of imported cotton, a water-intensive crop, or made from petrochemicals, which used oil and water from elsewhere. Tremendous amounts of water also is needed to grow Oregon’s forests that supply a lot of the lumber framing our new homes, to produce the steel in cars shipped to California and to run factories in China and Malaysia that make our computers and smart phones. Think of the virtual water all these other countries and states are exporting to us. We live in a world of virtual flows of goods and services that produce the real goods and services we willingly buy in favor of less-efficiently made local goods and services. The economics of production are important – virtual water is not. The virtual water notion can be applied to other production inputs. Consider California’s many virtual immigrants — people who did not need to move here because we import the products they make in other states and countries. Consider virtual energy use; some of the energy used to make your iPhone came from Iran via China, virtually avoiding trade sanctions with Iran. 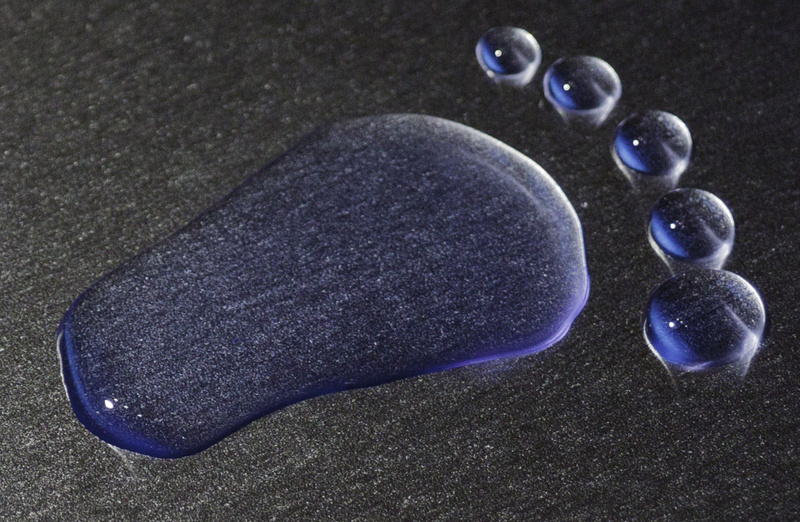 “Virtual water” and related “water footprint” calculations are cute and popular. We can have lots of fun with the idea of a virtual this and that. (Virtual manure can be imagined coming and going from California and flowing globally.) These notions have some value for raising public consciousness on the roles and importance of water. But the wide range of water values and opportunity costs across the globe and over time commonly makes these calculations misleading. Talk of virtual water distracts from serious discussion of economic, environmental and hydrological objectives and processes important for real water and environmental systems to function. Virtual water discussions are all the more counterproductive coming in the midst of a very real and serious drought. Frontier Economics (2008), The concept of ‘virtual water’ — a critical review, Report for the Victorian Department of Primary Industries, Australia. Iyer, R.R. (2012), Virtual water: Some reservations, GWF Discussion Paper 1218, Global Water Forum, Canberra, Australia. Merrett, Stephen W. (2003), ‘Virtual water’ and Occam’s razor, Occasional Paper No 62, SOAS Water Issues Study Group, School of Oriental and African Studies/King’s College London, University of London. Wichelns, Dennis (2010), Virtual Water and Water Footprints Offer Limited Insight Regarding Important Policy Questions, Water Resources Development, Vol. 26, No. 4, 639–651, December. 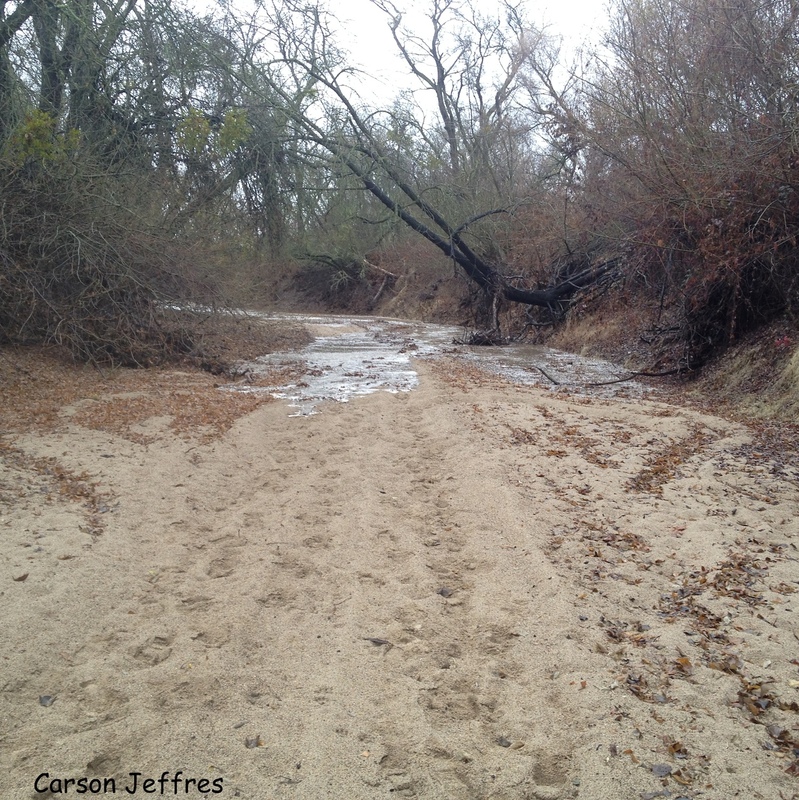 Unless the next two months are extraordinarily wet, 2014 will be a drought year. There is increasing attention on water supply problems for farms, cities, fish and wildlife. California’s history is punctuated by short and long droughts, and climate change portends a water-short future for the state. California’s institutions of higher education have long provided insights and scientific information on droughts and water management for policymaking and management. Conversations on drought and long-term water management seem especially timely. This event will bring together a wide range of experts from across the state for thoughtful discussion of California’s drought and water supply issues. Experts will engage with water managers and policymakers on how best to manage current and long-term water shortages. Topics range from agricultural production and employment to wildfires, public health and welfare, the economy, energy production and use, fish and wildlife, and water conservation. The event will include a review on what university campuses are doing to conserve water and provide water-saving advice for residents, farmers and business owners. The Center for Watershed Sciences at UC Davis is organizing faculty from all UC campuses and others to help plan the daylong summit with a range of government, academic and other drought experts. This entry was posted in Uncategorized and tagged drought, Jay Lund, virtual water, water conservation, water footprint. Bookmark the permalink. All of the virtual water described in this article comes from places where it rains much much more than it does here in California; Oregon and the midwest. There is no problem with exportation until it creates a deficit in the very place it is supposed to be; Northern California. We have a deficit that is caused by over exploitation of a limited resource. This does not “detract” from an important discussion it informs it. It is even more important to make people aware of this during this drought. Public opinion drives everything, including the many economic scenarios described in this article. The fact that people don’t understand the way things actually work is the most worrisome point of all and the very reason that describing virtual water is so important. Many people do not understand how water works and how it is used in this State. When pundits claim that exported water is being used to grow food for Americans, people need to understand that this is largely false when it comes to things like almonds. Why is that not discussed here? Maybe the concept of “mining” ground water can be next idea shot down by this site? Tens of meters of ground level subsidence sounds like “mining” to me. Exportation of water to a place so it can be used to create a product that is also exported itself, sounds very much like actual water is being exported to me. Thank you Dan. Jay’s comment makes little sense when viewed through the lens of resource constraints. Water drops are not equally valuable. There is a reason aluminum is produced in Washington State – abundant inexpensive energy. We have distorted food production with our cheap subsidized water and crop subsidies. The Salt River Project allows citrus to be grown in the desert but the costs are paid by the government. The largest desal plant ever built in the USA is in Yuma to attempt to clean up agricultural drainage water before it goes to Mexico. Westlands WD and it selenium-laced agricultural drainage yield enormous costs born by the US taxpayer. Jay, this is not a free market of businesses providing goods to other countries. Our limited water is used by private companies to provide cheap almonds to China at significant cost to US taxpayers and the California environment. I have seen a few of these virtual water articles and would lump them with the numerous others that seem to have a goal of distracting us from the real issue-wasteful use of a very limited resource. Which also seems to be the goal of Tim Quinn. His recent visit to UCD to primarily tout MWD’s infrastructure investments while the north did little was a rather curious statement. After all, living in a desert requires significant infrastructure investments, especially since they are a net importer of water and have not required all of their customers to adopt what would be normal conservation practices in countries or cities located in arid or desert regions around the globe. This analysis discusses the actual value and utility of the concept; does the analytical work to calculate inputs and outputs and trade. And discusses where the concepts are relevant and not to policy. The concept doesn’t deserve the flip dismissal that you provide and it does not distract from the real conversation that we must have on water policy — it is part of it. I think we should do calculations that focus on achieving the real objectives we have for the environment, economy, and society. Most virtual water and foot-printing seems like cute but distracting calculations. Perhaps yours are different. Truly, my calculations don’t take all that long. I’m happy to contribute them for free. While I am at it, I agree with Jay that some of these calculations of virtual quantities can be pretty flaky but I also agree with Peter that Jay’s original blog was pretty flip. If water is in short supply in California, which it is unless we manage it more efficiently, there is a trade-off between growing almonds for export in the rain shadow of the Coastal Ranges and having greater flows to support salmon and the salmon industry. Without even trying to do a calculation, which is maybe what OtPR is saying, the salmon win hands down as more significant to the natural heritage of California. Which indeed did not take me long. Jay Lund deserves the water industry’s “Nobel Prize” for this concise explanation on the fallacy of exporting water in California farm products. We live in a global economy. California’s place near the top of the economic heap would not be possible if we tried to produce everything here that we consume. We have the ability to grow farm products more efficiently and in quantities greater than anywhere else. That helps keep American food costs the lowest in the developed world (as a percentage of disposable income) and leaves money left over for that iPhone. So we should bankrupt our California environment to fuel the Global Economy? Unirrigated midwestern corn and soybeans keep “food” cost low, not almonds and alfalfa exported to Japan. Nonsense! Very good article Dr. Lund. The detractors, I believe have missed your point. This has been a curious discussion, if examined in the light of the “real water” left behind in the San Joaquin-Sacramento Delta when Sierra water is exported. Delta fisheries, farms and urban areas are left with increasingly saline water. It is not a “virtual” situation when prime farm land, located contiguous to the water resource, is ruined. Rather than focus only on the “virtual”, wouldn’t it be valuable to focus on reality? Thanks for the opportunity to comment. Rogene Reynolds, South Delta. To piggyback on another commenter–do we calculate the value of water in the production of oil in the West? How does that fit into the calculations of determining virtual water? Is it appropriate for us to produce oil in the West while we’re facing drought conditions. I know I have my personal opinions, but I’m interested in hearing from someone in the American West. It’s actually a cool and helpful piece of information. I’m glad that you shared this helpful information with us.